AKIPRESS.COM - Moody's Investors Service has placed Kazakhstan's Baa2 government bond and issuer ratings on review for downgrade. The senior unsecured MTN program rating at (P)Baa2 was also placed on review for downgrade, the Service said in a release last week. The purpose of the ratings review is to allow Moody's to assess the extent of the impact of the further sharp fall in oil prices, which Moody's expects to remain low for several years, on Kazakhstan's economic performance and its government balance sheet in the coming years. Kazakhstan is highly dependent on hydrocarbons to drive economic growth and to finance government expenditure. Oil and gas account for 74% of goods exports and roughly 23% of GDP. It also provides around 42% of consolidated government revenues. Between September 2014 and September 2015, the oil price roughly halved. Since then, it has fallen a further 40%. Moody's recently revised its oil price assumptions for Brent to US$33 per barrel in 2016 and US$38 per barrel in 2017, rising only slowly thereafter to US$48 by 2019. The structural shock to the oil market is weakening Kazakhstan's government balance sheet, and its economy, and therefore also its credit profile. Between 2013 and 2015, revenue as a percent of GDP declined by 8.6 percentage points and the fiscal balance declined from a surplus of 5.2% in 2013 to a deficit of 3.2% last year. During the same period the country's current account balance relative to GDP moved from a surplus of 0.4% to a deficit of 2.2%. Assuming no policy response and other factors being equal, the depressed oil prices over the coming years would imply a reduction of 18.0% in government revenues, an increase of 3.0 percentage points in the fiscal deficit and a rise of 9.3 percentage points in Kazakhstan's debt burden over a four year period ending in 2017. That would shift our assessment of the strength of the government's balance sheet from Very High(+) to High(+). The roughly 48% depreciation in the exchange rate of the tenge against the US dollar since the start of 2015 has to some extent contained the impact of the price shock on the government's revenues, but at the cost of higher inflation, which has risen from 7.4% in December 2014 to 13.6% in December 2015. In its efforts to manage the depreciation, Kazakhstan has run down its foreign exchange reserves from US$21.3 billion (US$29.2 billion including gold and SDRs) at end-2014 to US$18.5 billion (US$27.0 billion including gold and SDRs) in January 2016, or 7 months of imports (10 months of imports if we include gold and SDRs), thereby reducing its external buffers against future shocks. Similarly, the reduction in foreign currency assets of the Sovereign Wealth Fund from US$73.2 billion in December 2014 to US$63.5 billion in December 2015 has contained the rise in debt, but at the cost of reducing the government's fiscal buffers. Potential calls on these funds are growing -- emanating from the possible future need to refinance government debt, support the banking industry, refinance the debt of State Owned Enterprises (SOEs), and fund future budget deficits. Meanwhile, Moody's expects real growth over the next four years to average 3%, a fall of 1.1 percentage points from the average level in the same period up to end-2015. Moody's notes that the government has undertaken a range of plans to mitigate the impact of the shock on its balance sheet, including cuts to expenditure, tax reforms which broaden the tax base and measures to diversify the economic base of the country. 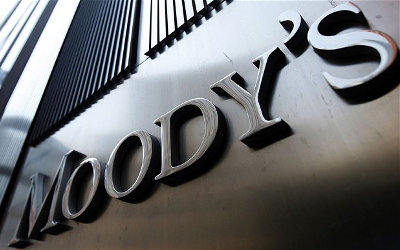 Moody's expects to conclude its review for downgrade of Kazakhstan's rating within two months.